19 November 2018 (FAO)* — Biodiversity may sound complicated, but it’s a fairly simple concept: the existence of many different types of plants and animals makes the world a healthier and more productive place. A mix of genetics, species and habitats allows Earth’s ecosystems to keep up with challenges like population growth and climate change. Biodiversity is important to us because it plays a crucial role in food and nutrition security, and subsequently in human health. About three-quarters of the genetic diversity once found in agricultural crops has been lost over the last century. Preserving our agricultural biodiversity is vital for coping with a changing climate and securing our future of food. | Photo from FAO. Over the years, reduced access to land and natural resources, environmental degradation, climate change, globalization, urbanization, and homogenization of agricultural production (when high-yield crops and monoculture agriculture take the place of biodiversity) have caused a transformation of diets and lifestyles. 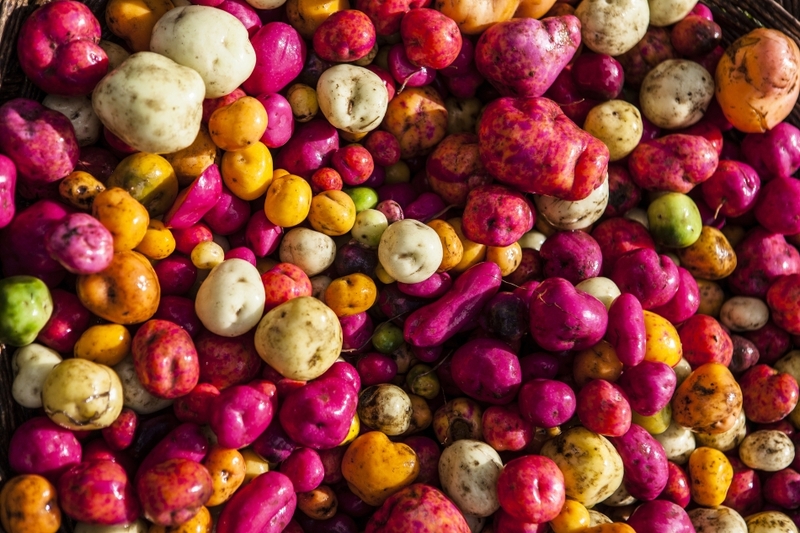 About three-quarters of the genetic diversity once found in agricultural crops has been lost over the last century, a change that has dramatically affected the role traditional foods play in feeding societies. In many communities, the decreasing availability of diverse local foods and the increase of industrialized foods have caused a shift away from traditional food resources toward commercial and convenience foods. This trend has been associated with negative health impacts like obesity, diabetes, heart disease, high blood pressure and other diet-related disorders. Understanding and maintaining the key relationships between peoples and their cultures, biodiversity, traditional livelihood and knowledge systems are critical factors in ensuring sustainable food and nutrition security. Although many traditional food practices have been lost, there is still a chance to recover and strengthen local food systems, so that we can leverage long-standing knowledge and practices to preserve biodiversity and benefit from it today and in the future. Pohnpei is a great example of indigenous biodiversity. It is home to 55 types of bananas, 133 types of breadfruit, and 171 types of yam cultivars. © Island Food Community of Pohnpei | Photo from FAO. 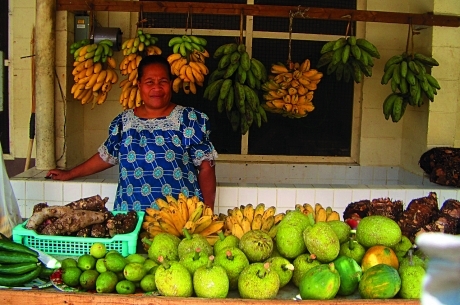 The population of Pohnpei in Micronesia, for example, has access to a wide diversity of local foods (55 types of bananas, 133 of breadfruit, 171 of yam cultivars, and nearly 1 200 species of edible fish). But the local diet has shifted away from traditional foods in favor of imported foods, causing the population of Pohnpei to suffer from a number of serious nutrition-related problems including vitamin A deficiency and obesity. A programme aimed primarily at improving health and nutrition by introducing green leafy vegetables into people’s diets over a period of 15 years showed that little progress had been made because these vegetables were neither indigenous nor well-liked. Indigenous foods such as Karat and other local yellow-fleshed bananas (containing the highest levels of beta-carotene in the world, making them treasures of biodiversity), and yellow-fleshed giant swamp taro varieties, were not originally promoted by the programme because there was no nutritional data available for them. Now that proper study of Karat variety bananas has revealed their high pro-vitamin A content, efforts are under way to promote this indigenous food. 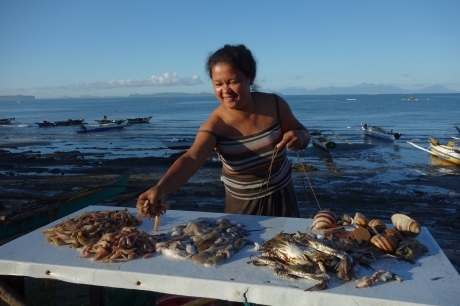 The outcome of the situation in Micronesia highlights the importance of making sure that biodiversity-oriented programmes seek solutions in local traditional foods whenever possible. One easy solution to the population of Pohnpei’s troubles lay in their own food history. Collecting data on indigenous food sources adds to the population’s knowledge about the local food system, allowing them to rediscover nutritious options in backyard biodiversity. Knowledge and awareness is one of the first steps of utilizing and maintaining biodiversity. In order to reap the benefits, we first have to know that they exist. In Burkina Faso, and throughout the West African Sahel, rural women carefully collect the fruit, leaves and roots of native plants such as the baobab tree, red sorrel leaves, kapok leaves and tiger nut tubers for use in their families’ diets. These plants are important supplements to the other portion of their diet made up of agricultural grains like millet and sorghum, which represent only one part of the nutritional spectrum. More than 800 species of edible wild plants have been catalogued across the Sahel so far. Local knowledge of food biodiversity, demonstrated by the foraging women of Burkina Faso, sometimes includes aspects of gender dynamics. Men and women may be responsible for different crops, or varieties of crops, or be responsible for different tasks related to one crop. Women often have detailed knowledge and preferences concerning crops, as well as a central role in seed selection, seed saving, and use of wild plants for food. They are also frequently in charge of minor food crops used for home consumption, rituals and medicinal properties. Men, on the other hand, tend to be in charge of the cultivation of commercial crops. The expansion of men’s commercial enterprises may result in a reduction of women’s crops, leading to a decrease in the availability of local plants for food and medicine. The shift indicates a possible decline in nutritional status, reduction in local plant diversity and overall environmental stability. Therefore, it is necessary to take both angles of agriculture into consideration when striving for a sustainable future. One of the most important questions is how to increase food production to provide for current and future generations while improving biodiversity and reducing the strain on the environment. Good governance, enabling frameworks, and stewardship incentives are needed to facilitate mainstreaming of biodiversity. Altogether, it’s a pretty big task. But if we want to have a hope of achieving food security in the future, we have to commit to improving and maintaining biodiversity today.